I was beyond blessed in the mom department. God gave me a wonderful mother and we have a very close relationship. I am forever grateful! But I know this is not the case for so many women. They want a relationship with their mom or their daughter, yet they don't know how to talk to her. They want to move past differences, but they don't know how to forgive or accept forgiveness. Mother and daughter Helen McIntosh and Blythe Daniel know this struggle and have written a book to help rebuild, raise up, and repair relationships. 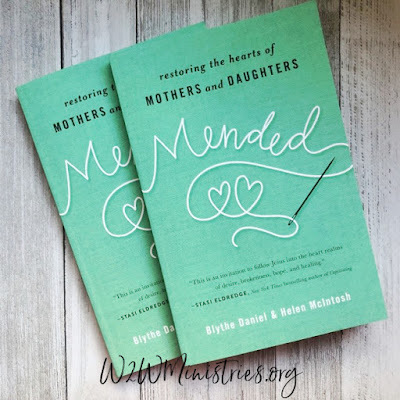 In Mended: Restoring the Hearts of Mothers and Daughters, Bylthe says, "In this book we want to help you awaken your heart to God as the restorer of all things, including your relationships." She goes on to say, "Jesus was the ultimate bridge builder. He bridged relationships with mothers, daughters, fathers, and sons through His words, His healing touch, and His interactions with them." Helen and Blythe teach us things how to make the decision between being right or being closer to rise above the differences, how to forgive, how words can bring us back together, the right time for advice, and much more. 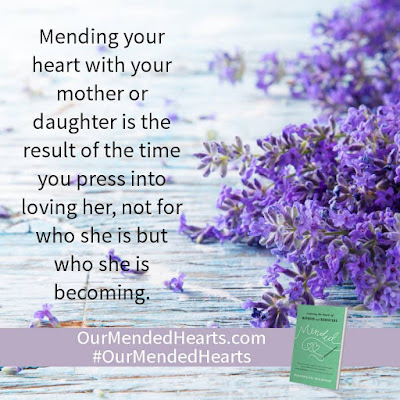 Whether you are a mom who deeply wants to restore the relationship with your daughter, a mom who wants to know how to keep your relationship good, or a spiritual mom who wants to show her spiritual daughter the beauty of the mother/daughter relationship, this book is for you. 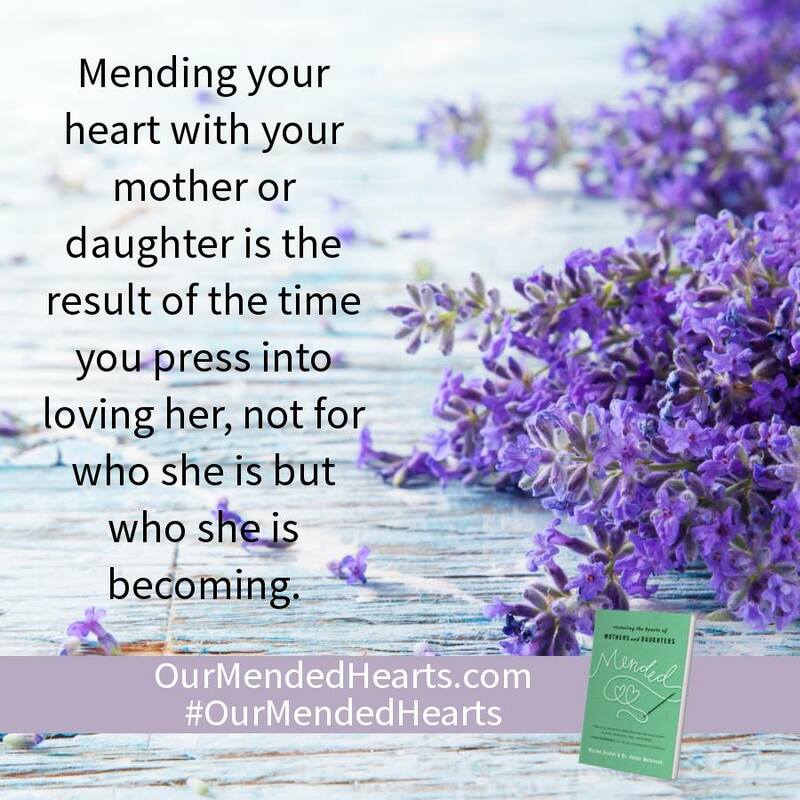 If you are a daughter who wants to get past the battles and have a good relationship with your mom, a daughter who wants to forgive or be forgiven, or a daughter who wants the tools to keep your relationship healthy, this book is for you. We are excited to bring you a copy of Mended: Restoring the Hearts of Mothers and Daughters! To enter to win, complete each task in the rafflecopter below. I was blessed, too, to have a great relationship with my mother. She's been gone 9 years now, and I still miss her terribly. This sounds like a helpful book for those who are struggling, or for those who want to help those who are struggling in the mother-daughter relationship. Thanks for sharing this, Jenifer. My latest post is about my friend and his mother who both recently died within 2 weeks of each other of totally different causes. So difficult to understand these things at time. But you are right - this is the hope we have – restored and renewed to life. I was blessed with a good mom as well, and I miss her. She passed away several years ago. This sounds like a very valuable resource. The quote you shared from Jen Wilkins is such a good reminder: May we remember the Bible is a treasure and will yield up treasure to us. I was blessed to have a wonderful relationship with my mom and am blessed to say - I still do!! I've got my cup of coffee! And this book is special! Thanks for sharing. We have a special 2-part blog post going this week over at www.InstaEncouragements.com/blog This is part 1. Part 2 will go live next Tuesday. It's Sonja's Story. My friend has graciously and bravely allowed me to write her story. She has been both open and transparent in hopes that Sonja's Story will reach someone who is about to make that critical decision between life and death of their unborn child. Today, Sonja is the executive director of a pregnancy resource center. It is her ministry to make sure others know that they can make different choices than she did. I hope you all will stop by and read, and share so we can reach those who may be about to or may make that decision in the future, so that they know they have other choices. 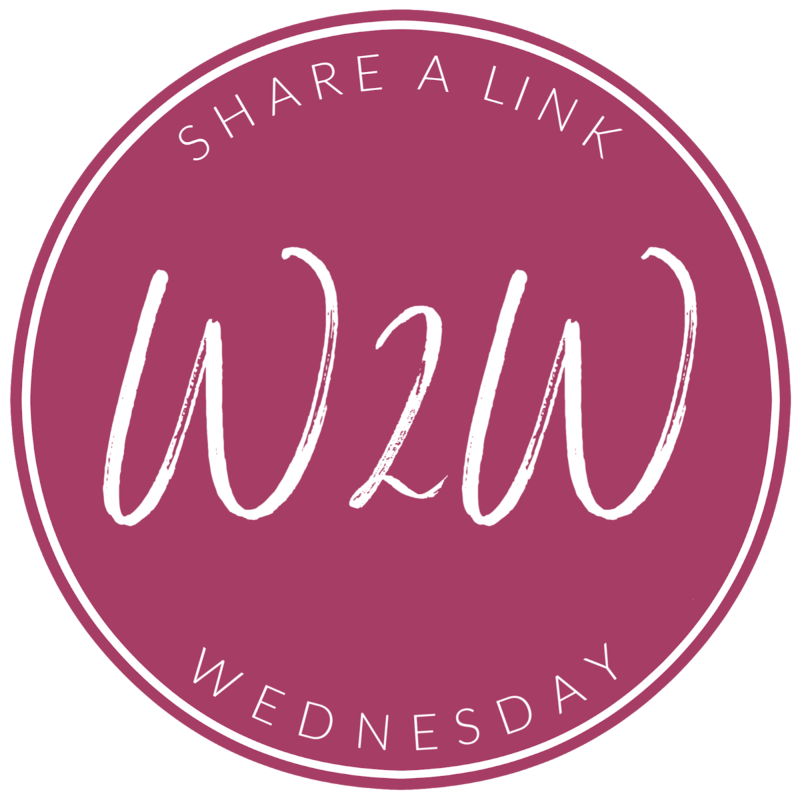 The post is full of resources, and there is a link-up going on that post through Friday 9am. Y'all have a blessed week! I say that when I grow up (i'm 50!) I want to be just like my mom! 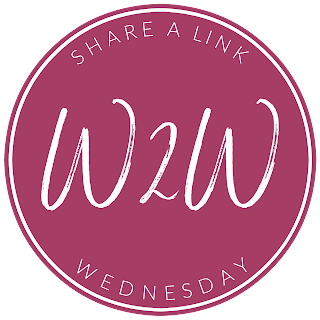 Here is my link-up post for this week. God bless you! I didn’t always have a good relationship with my mother, because depression sadly stole most of her years. But God blessed me to care for her during her last couple of years while she struggled through cancer. Truly during that painful time, God did heal and restore. I’m grateful for Blythe and Helen’s candid conversation to give others hope! I have two blog post links this week to share.